The Institute of Somatic Therapy is committed to providing the best online home study continuing education courses available to massage therapists. Institute of Somatic Therapy is approved by the National Certification Board for Therapeutic Massage and Bodywork (NCBTMB) as a continuing education Approved Provider. Provider # 280672-00. Our massage CEUs/credits are also valid for AMTA and ABMP. We are approved by the Florida Board of Massage (Provider #MCE326) and CE Broker (Provider #50-1116). 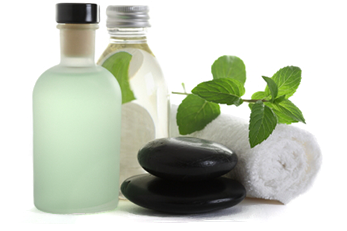 Our massage therapy continuing education courses are valid for most state massage therapy CEU requirements. See our State Guidelines page for specific information about the continuing education laws in your state. Click here to get started today & try our FREE online course! Simply enroll in any of our online continuing education courses and you will have instant access to your course. As soon as you pass your test, you can print your certificate instantly. You can have a certificate in your hand tonight. There are no delays waiting to receive materials or completion certificates by mail or even by email. After you finish a course, you can always log back into your account, review the course materials, review your exam results, and print additional certificates. With our online courses, you work at your own pace. Fit your CEUs into your independent lifestyle. You can log in and out as much as you like while taking a course. When you log back in, the system will remember where you last left off, but you can always navigate forward or backward in the course materials if you want to skip ahead or review. Even after you have completed the exam, you will always have access to review the course materials. Take a free course to see exactly how our system operates. This gives you the peace of mind of knowing what to expect before you commit to any of our courses. Feel free to see how well you do with an online learning and testing format. You can test the course from two perspectives: while you are taking it, and when you are finished with it. You will see how you can log in and out during the course and/or navigate through it, and how you have access to course materials, test results, and certificates once you have completed the course. Another reason to take our home study continuing education courses: We donate 10% of profits to charitable organizations. By doing business with us, you help to support many valuable organizations. We have made donations to National Camps for Blind Children, Wounded Warrior Project/Soldier Ride, Special Olympics, ADRA Development and Relief Agency, and many other worthy charities. Thank you for your continued support while together we help these wonderful organizations perform their valuable work. I am currently in massage school. Can I start taking your pregnancy massage course now so when I become licensed I'll be ready to work on pregnant women? Yes. Many massage therapy students begin taking continuing education courses as they near the end of their schooling. You can do this not only with our pregnancy massage course, but with any of our other specialized courses as well. Do I have to be a licensed massage therapist to take your courses? While our courses are designed as continuing education for licensed and/or certified massage therapists, a non-licensed person may take them for their personal use. Of course, they may not legally practice without an underlying license if their jurisdiction requires one, as most jurisdictions do. Exceptions to this are courses such as the pregnancy massage and infant massage training. In most jurisdictions, doulas or other prenatal healthcare providers can use the techniques within the scope of their training and authority, such as a doula using some of the prenatal massage techniques during labor and delivery. You cannot, however, hold yourself out to be a certified prenatal or infant massage therapist without having a massage therapy certification or license. Are your online courses downloadable to my computer? No. You must be logged in on our website to view the course materials. We invite you to take our free sample course, Shoulder Dysfunction, to see how our online courses and testing works. Will your online courses work on my phone, tablet, or other device? Yes. Since technology continues its rapid pace forward, it is impossible for us to provide a current and complete list of all devices on which our courses will work. We invite you to take our free sample course, Shoulder Dysfunction, so that you can personally test if the online content and streaming video work on your device. Can I log in and out while taking an online course, or do I have to take it all at once? You are able to log in and out as much as you need while taking a course. Once you start the test, however, you do need to finish it, or you will have to restart the next time you log in. How do I print an additional certificate? You can log into your account and print additional certificates, or review course materials and test results, after you have completed the course. Once you've logged in, just access the course in question, and in the left status box you will see links to where you can print another certificate or review course materials. Does the Institute of Somatic Therapy automatically report course completions to CE Broker? Yes, we automatically report all course completions to CE Broker provided that your Florida Massage license number was listed on your account before you completed our online test. You can verify or edit your license information when you log into our account and review the General Information that appears to the left of the page. 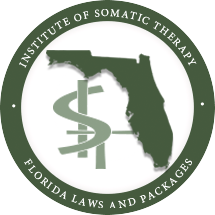 Does the Institute of Somatic Therapy report our course completions to the NCBTMB, ABMP, AMTA, or any other agencies or state massage therapy boards? None of these agencies have a method for us to report your completed continuing education courses on your behalf. They prefer that you provide the evidence of CEs that their renewal process details. Please contact your licensing authority if you have specific questions about how to renew your massage therapy license. how we can help you attain your continuing education goals. Thank you.